After originally designing Sundog-soft.com in 2009, it was time for a long-overdue WordPress upgrade. 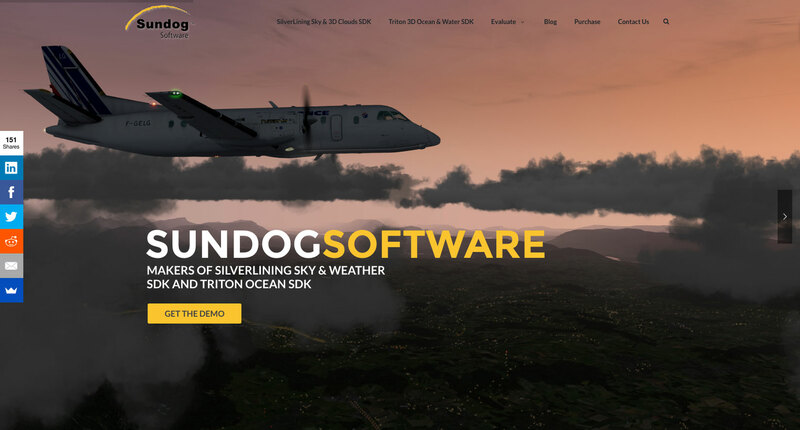 Sundog Software creates real-time visual simulation for entertainment, video games and training applications for customers like Electronic Arts, the U.S. Army, Marines, and Air Force. This WordPress theme upgrade better showcases the company’s products and demo videos in large format.